Imperative to providing the best costing and performance for high volume fabrication is the need for high speed automatic slitting. 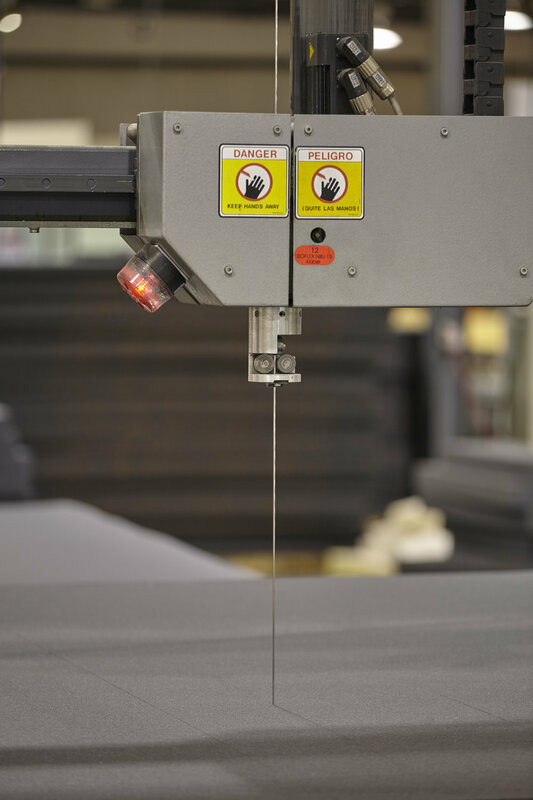 Foamcraft offers both high speed horizontal and high speed vertical saws, all capable of automatic operations. 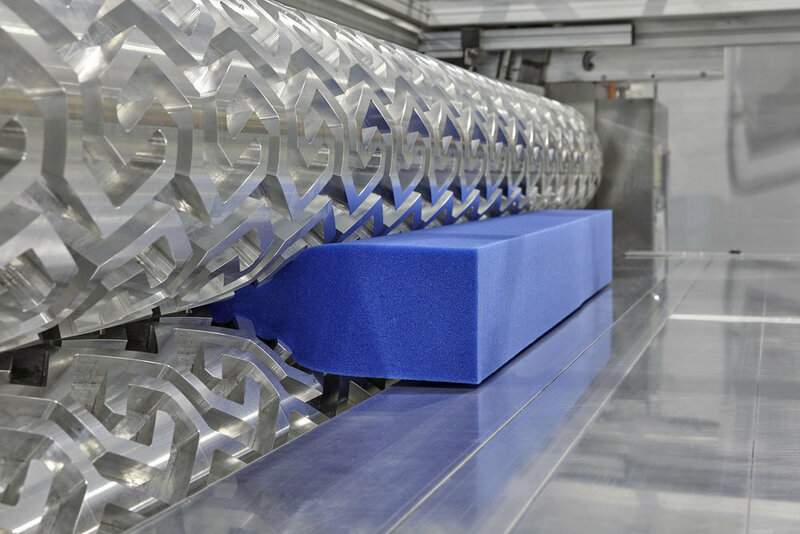 Both processes are designed for high volume production requiring the highest level of dimensional tolerances. Our horizontal Carousel Slitters can acheive both high tolerance fabrication along with high volume fabrication for foams requiring horizontal slits. 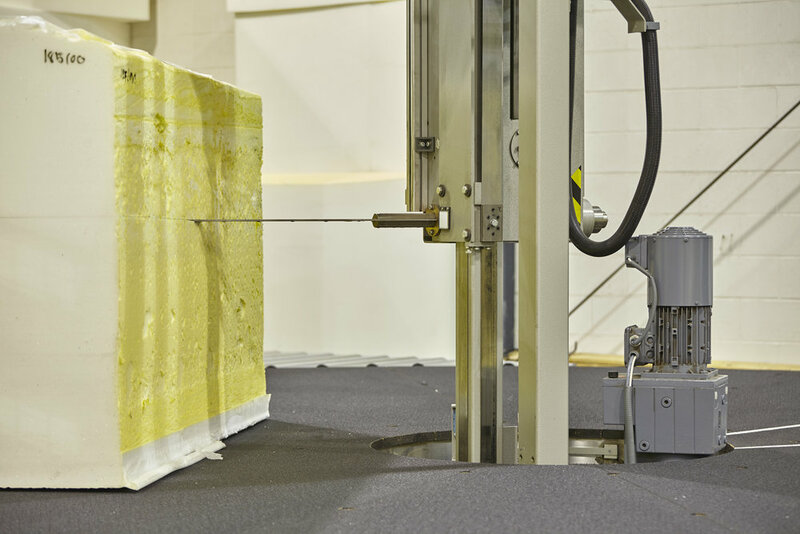 The Automatic Vertical Slitter is superior at cutting blocks of various foam types to tight tolerance requirements. 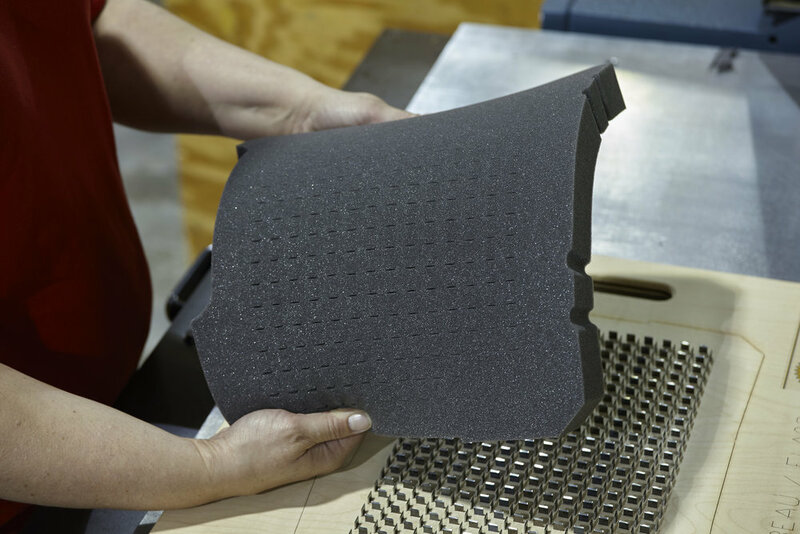 They are able to cut entire buns at a time and are used to prepare parts to be contour cut, or to create finished foam parts.